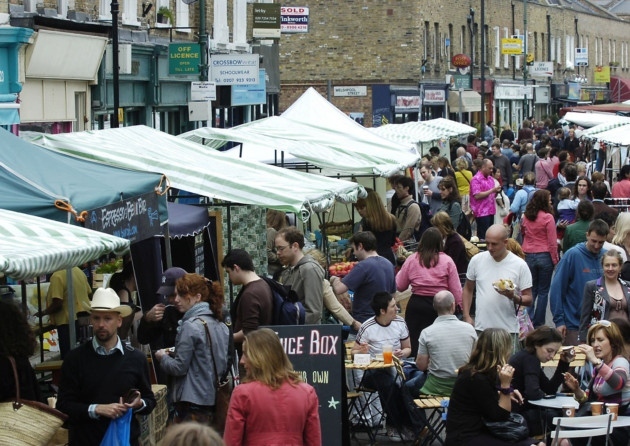 Although the original market is one of the oldest in London its success is due to the launch of the Saturday market by Hackney Council in 2004. Selling food from different parts of the world as well as clothing and decorative objects from local designers Broadway Market has become a highly popular spot for trendy Londoners. The shops bordering the market sell an amazing array of goods from wine to vintage clothing to rare books. Get there early on a Saturday, have a coffee with something nice to eat and soak up the atmosphere. Closest underground station is Bethnal Green. London Fields and Cambridge Heath on the train. Haggerston on the London Overground.